When I ordered this book from the library I knew next to nothing about it. 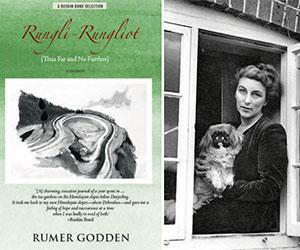 When I finished A Fugue in Time, I scanned the catalogue for titles that I didn’t have and I picked it out from the titles that I knew weren’t in print; because there was a note that said it was Rumer Godden’s first work of non-fiction; as I hadn’t read any of her non-fiction at that stage the book picked itself. The writing is every bit as lovely as you might expect as you might expect from Rumer Godden; it’s understated, it’s elegant, and it’s wonderfully evocative. The pieces are short; and they paint such lovely pictures, of daily life and of the people and the world that surrounded the small family. There are so many entries that I could pull out. As a whole the book really felt like an author’s journal; something that she had taken time and trouble over, not something that was contrived or significantly edited for publication. It felt as if she was writing something that she could read to stir memories of that part of her life, or maybe to spark ideas for novels she had still to write. There were times when I felt that she was a little reserved, and there were times when I wished that she would describe just a little more. 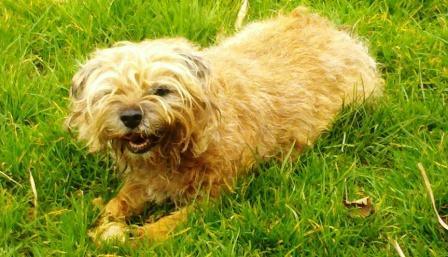 She passed over the lights of Diwali so very quickly …. And so I have to say that it is a minor work. Sounds like an enchanting, if minor work…the excerpts you quote remind me of all I like best in Godden’s style. It is enchanting, and the writing in many places is as lovely of anything of hers that I’ve read. It does indeed sound lovely Jane – very much makes me want to read some of Godden’s work! Yes, I think so too, and the images are still floating in my head. It has me wanting to read even more – and luckily the Cornish Library Service had the wisdom to hang on to lots of her books. I hadn’t realised that Godden had written any non-fiction. I shall certainly have to seek this out at least. I love reading other people’s journals. I thought I knew most of her books, but I’ve never heard of this one. I’ve been meaning to re-read her autobiographies for a while now, since I’ve forgotten a lot of the details of her life.